We fish by wading, drifting, casting, or plugging. You can fly fish or use conventional gear. 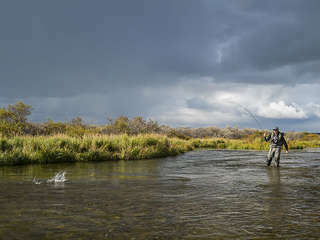 There are streams that are designated as fly-fishing only areas and there are rivers that allow either fly-fishing or the use of conventional gear. The type of fishing you do is your choice. Your fishing guide is there to help you as well as educate you about the rivers we fish and which techniques will work the best. 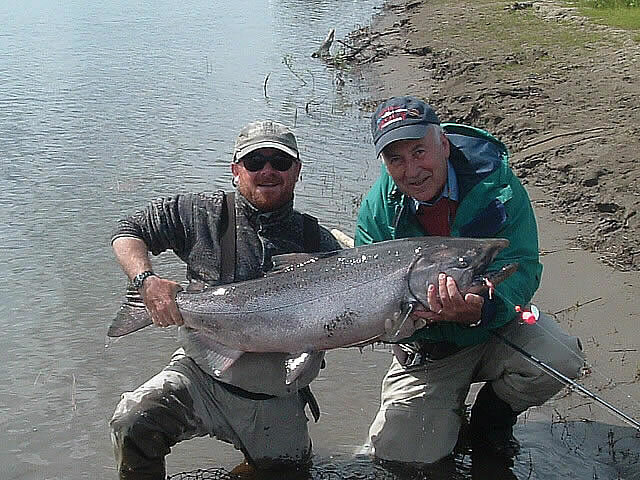 They will set you up for some of the best salmon fishing in the world, whichever way you enjoy the most. 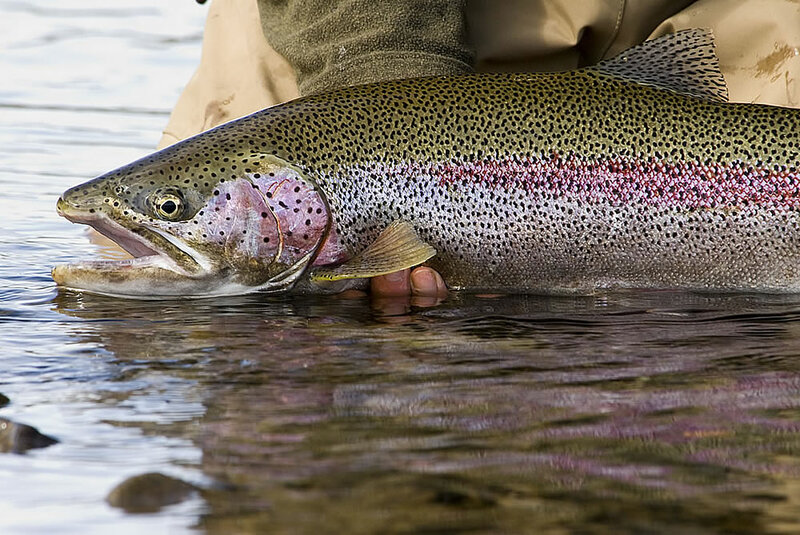 All of the methods are successful at producing amazing catches during your guided fishing trip. 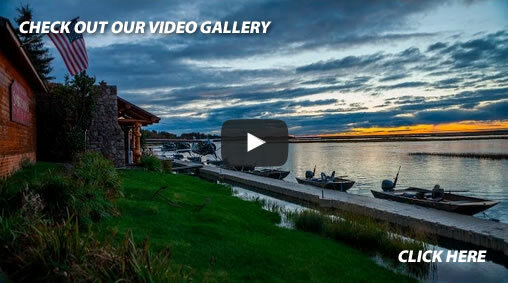 The Alaska Sportsman’s Lodge was built on the Kvichak River for three very important reasons. 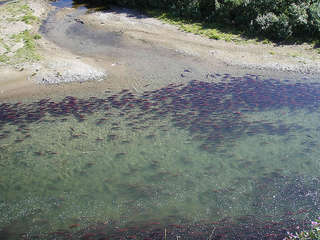 First, the Kvichak River has the largest salmon fishing run in the world that swims right past the lodge every summer. 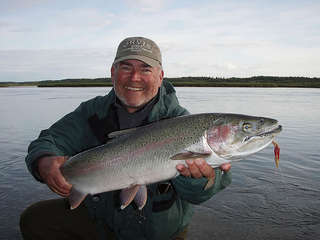 Secondly, the river has some of Alaska’s largest rainbow Trout. Period! 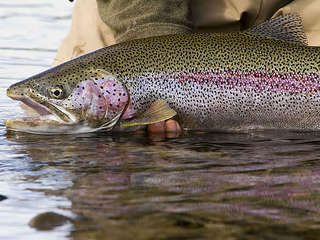 The Kvichak will consistently produce rainbow Trout in excess of 27″. The population of fish is very healthy and the fish are protected by Alaska Department of Fish & Game regulations for catch & release. The third reason our home river was our desired location to build our original lodge was because of the close proximity to other excellent fishing streams that can be quickly accessed by using the lodge’s float-planes. 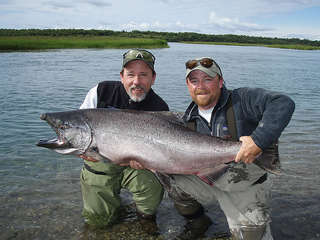 Guided fishing in Alaska has never been better than when you stay with us. We are only short flights from some excellent fly-fishing only streams for rainbows as well as some fantastic salmon streams. 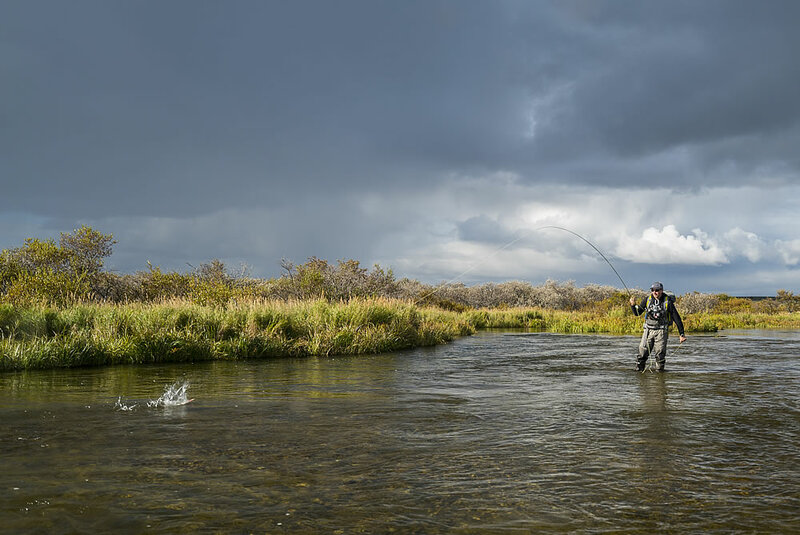 By building the lodge on a trophy river such as the Kvichak, we have assured our guests that they will have the opportunity to fish every day during their stay at our Alaskan fishing lodge. 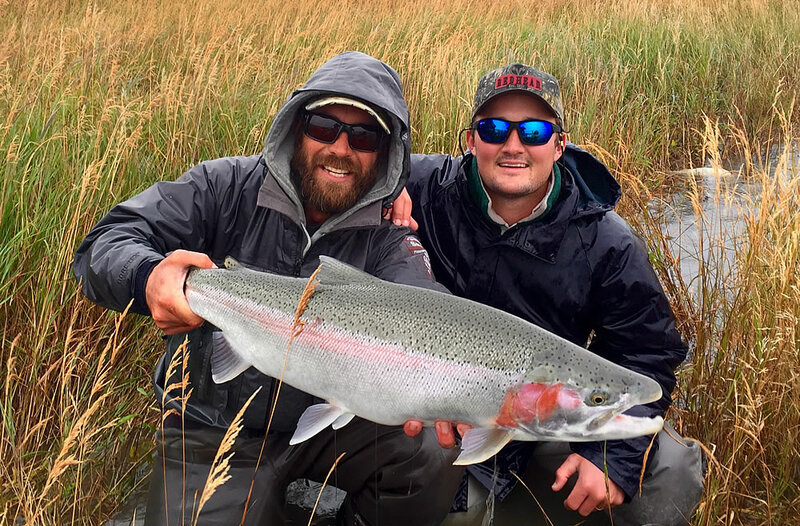 Most lodges in this area have a program that is structured so that you must fly-out everyday because there is limited fishing where their lodge is located. 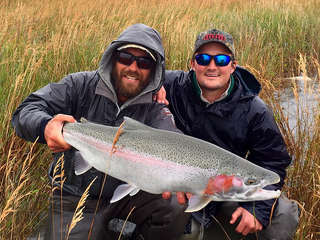 It is very important to choose a lodge that is able to provide trophy fishing opportunities at the lodge everyday of the season. 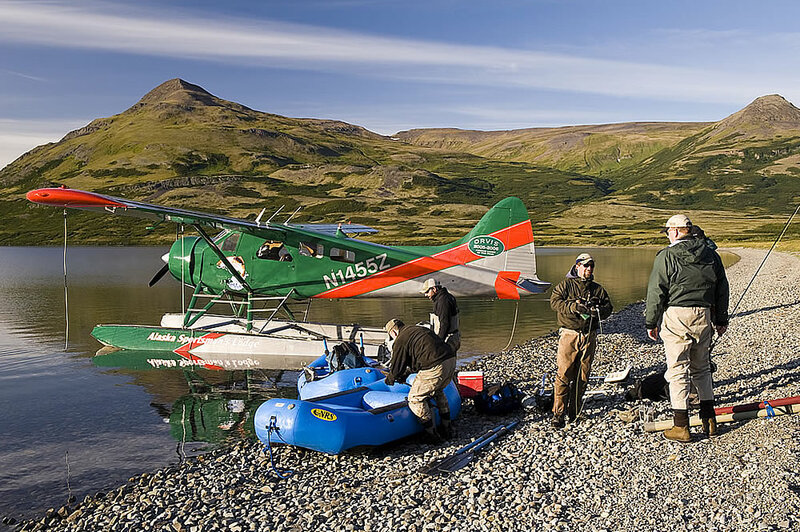 At the Alaska Sportsman’s Lodge, we have the best of both worlds. 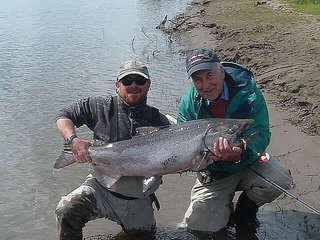 The fishing is excellent on our “Home” river and we are very close to many “Fly-out” rivers. Many times throughout the season, especially when targeting big rainbow Trout, the Kvichak is the river of choice to be on. 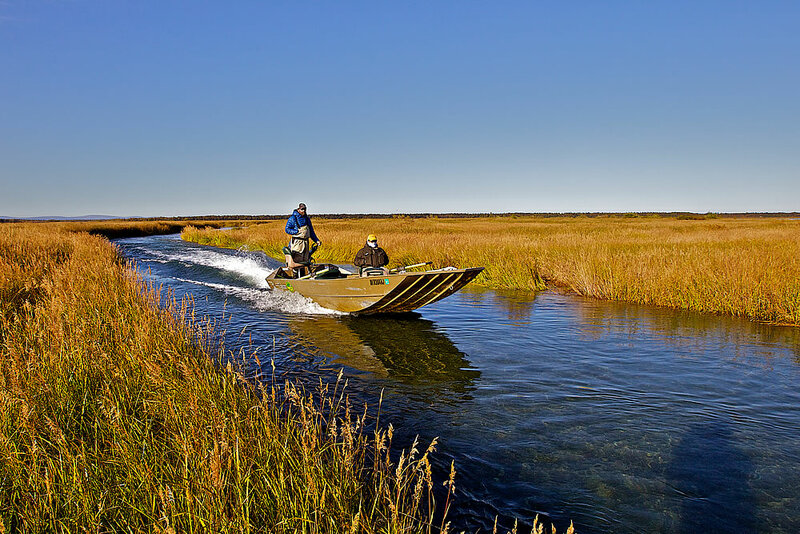 But, throughout the Bristol Bay / Lake Iliamna area there are tremendous fishing opportunities and we want our guests to have the chance to see and experience the beauty and amazing fishing opportunities of this great area. 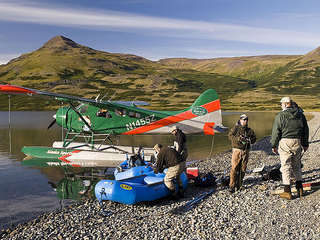 With that in mind, the lodge has its own private float planes and pilots to take guests to different rivers throughout the area for Salmon fishing, Arctic Char, and rainbow Trout. 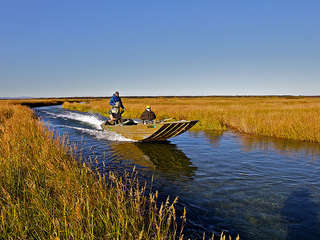 Our lodge’s central location makes many of the remote streams very accessible and only a short flight away. We are near Katmai National Park and Preserve and have permits to operate on “limited access” rivers. This means you get to fish for Alaska’s best! The benefit of choosing to visit the Alaska Sportsman’s Lodge is that whether you decide to fly-out to fish a nearby stream or stay and experience the wonders that our home river offers, your fishing day will be filled with adventure and excitement. All of these fly-outs are included in the package price.